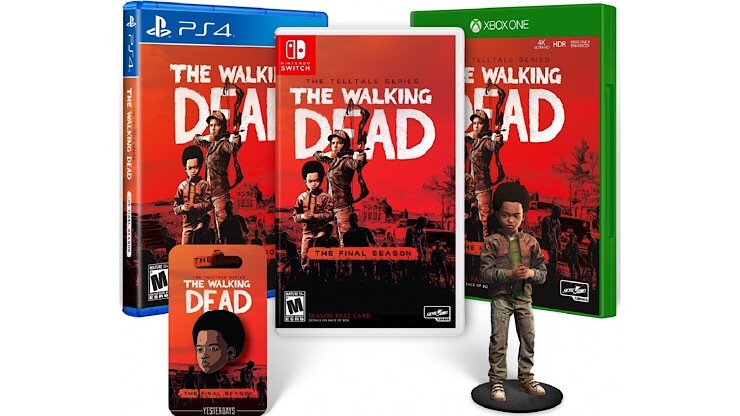 As the last episode of the final season of Telltale’s The Walking Dead approaches Skybound have announced a physical Collector’s Edition. A game that is very much like the shambling reanimated corpses that populate it, after the sad demise of Telltale few would have expected this final season to have been finished, let alone get a collector’s edition, but here we are. To be released exclusively through Skybound.com the pack will come with all four episodes (naturally), along with a pin of AJ and a four inch high figure of the same character. Skybound insiders are the only ones who can order the item, and if you order within these first twenty-four hours you’ll be entitled to 5% off of the RRP, so that’s £55.09. The release of this is due at the same time as episode four, so that’s March 26, but you only have until March 17 to get your pre-orders in. You can order this for PS4, Xbox one or Nintendo Switch.